Indie Retro News: Leilani's Island - A charming platformer with plenty of retro inspirations is teased! 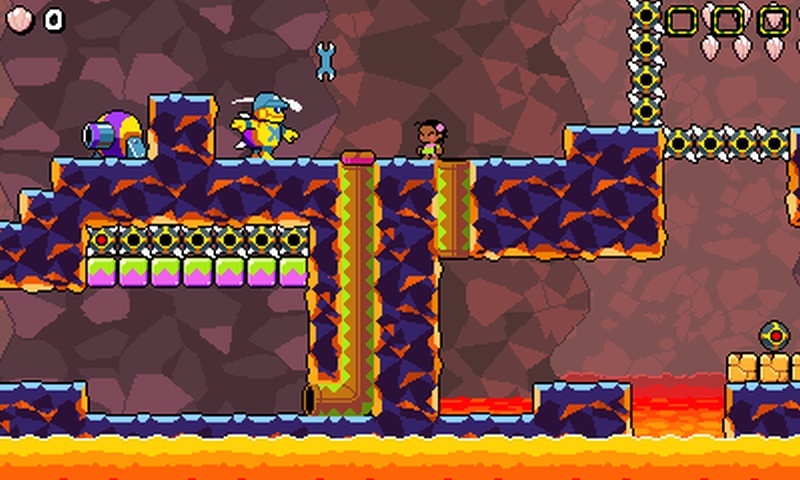 Leilani's Island - A charming platformer with plenty of retro inspirations is teased! A very late announcement this one but one I think many of you will add to a must have list of upcoming games, is IshiSoft's, Mario, Wario Land, and Donkey Kong inspired platformer ' Leilani's Island ', which is being developing in C++ on PC, using SDL 2.0 and OpenGL 2.1. First announced in 2015 with a more recent update shown as a gameplay trailer, this game looks to be a real treat for all gamers alike, as not only does it have those classic platforming elements, but will also have lovely cartoonish graphics, top notch gameplay and music by Leila "Woofle" Wilson (Freedom Planet). As can be seen in the game play footage above, Leilani's Island will feature a lot of platforming features to keep even the oldest of us retro gamers happy. You'll be able to roll, thump blocks, pick up power ups and even give enemies a swift kick while admiring the lovely detail that has gone into this game, which looks like a Hawaiian take on the classic that is Super Mario!